Travel is the only venture you can do in the world that brings you close to a someone you’ve never met before and go on to enjoy the best moments together during your trip. The social side of travelling can be surreal, and it’s not unusual you can meet friends for life. You can ask any traveller, especially the solo ones. You will hear amazing stories. It’s the people you meet that can turn a trip from cool to extraordinary. But what is the big hype about travel reunions? At some point though, unfortunately, we all have to move on and do our own thing. Some keep going, some stay, but most of us go home. Despite this, it’s super easy to stay in contact with our travel friends through social media – and it is the technology that is the catalyst for all travel reunions. Some people are just naturally wired to forget about the people they met on the road, while others (like me) can’t wait to meet their trip buddies again. Check out ten reasons why travel reunions are essential for travellers. When you meet people travelling, it happens in quick time, and before you know it the time comes to part ways. The travel bond has been created and forever in your memory. Reuniting allows the worldly friendship to establish itself. It evolves from being solely a trip meet up to sustained the feeling. Not everyone can travel all the time, so what you might find is that your travel reunions take place while one of you is ‘back into reality’ again, perhaps working or studying. Reuniting for however long will give you the urge to go travel again. Why is that important? Because travelling is amazing! We can’t reunite with EVERYONE we meet while travelling, and if we did it would take some effort. So for the time, we decide to join with our best traveller friends, the reunion is epic. Funny stories, plans, and probably a few drinks in between. Epic!!! If you’re chatting about your past travels together, then it’s always interesting to hear the view from your travel friend with whom you’re reuniting. There are bound to be some bits you forgot about or something you experienced in a different way to your friend. The reunion allows you to combine both memories into one tale, giving it a more extended better version to relate too in the future. If you’ve found yourself a ‘new sister from another mister’ or had a little bit of a bromance with someone travelling, it’s an excuse to see one another again. Especially if you’re from different countries, why not see somewhere new and reunite with your travel buddy? It makes complete sense! To reunite with someone there has to be a certain level of commitment to make it happen. If you’re travelling to their country, or them to you, it isn’t just an easy feat. To many people, it takes a significant effort. But in reality, if it’s worth it, then this only bodes well for your reunion. Being determined will work well for you! Reuniting with our traveller friends always brings back the conversations of old memories. That’s part of what travel reunions are about! Savouring travel tales puts us back in the moment, at least within our minds. It might be the memory of what it was like to be on that beach in the Philippines or hiking the mountains in Nepal or drinking them shots in Bangkok. Whatever it is these can never be taken away. Memories and experiences are forever! 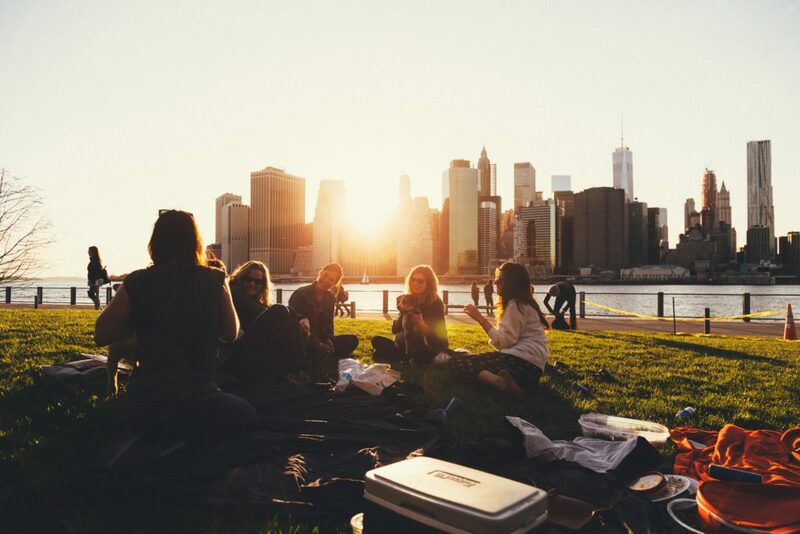 “Reuniting with your travel buds is amazing, you share memories, but at the same time you create new ones.” And maybe this is what makes reunions so unique. You’re in a constant state of good thoughts. We all feel good when we fond memories to look back on while at the same time looking forward to the new experiences! Without social media and travel apps, how long would we keep in contact with the random people we meet travelling? It wouldn’t be as easy as it nowadays. Reunions via social media show you have an innovative and forward-thinking approach. You don’t rest on your laurels to ‘see’ each other through social media; you go out there and make the reunion happen. How many times have you heard the saying from one traveller to another, “It’s not goodbye, its see you later.” Well, travel reunions are living proof that this is the case. We can get emotional leaving good people we’ve just met, we can have a lot of feelings boiling when going back to the real world after travelling, but reunions challenge them emotions. They show that travel opens the door to many possibilities and that the good times are never over.